A quick review of the Klarus XT11GT has already been done on our comparison of the best powerful torch lights. It is time to reveal the complete test of the Xl11GT by Klarus, a lamp that is particularly appreciated as the Fenix ​​PD35 or Lenser P7.2. Supplied with 18650 battery, USB charger …. 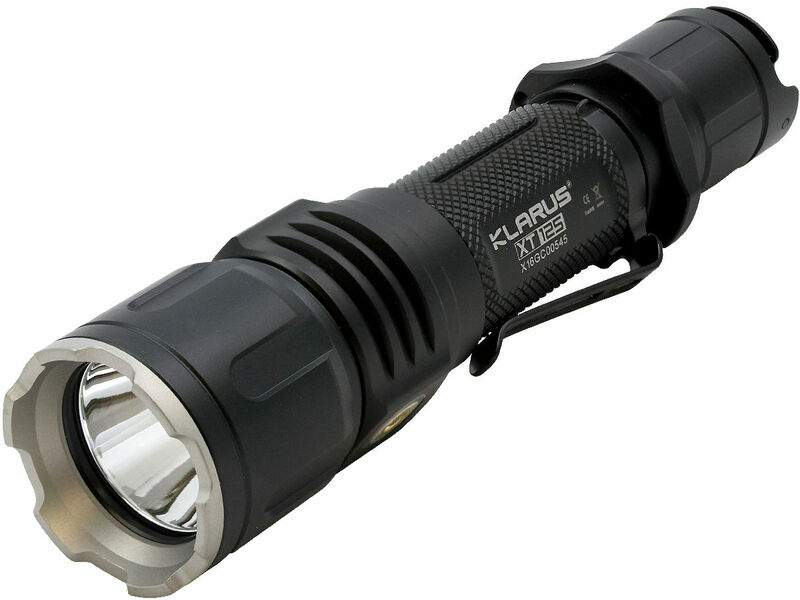 The Klarus xt11gt is a very good multi-purpose tactical flashlight with a very good autonomy according to the mode of brightness selected. The pack is complete, no need to invest in an additional battery or in various accessories. In short, we recommend the Klarus XT11GT! Today we tested the Klarus xt11gt torch of 2000 lumens, intended mainly for tactical use! 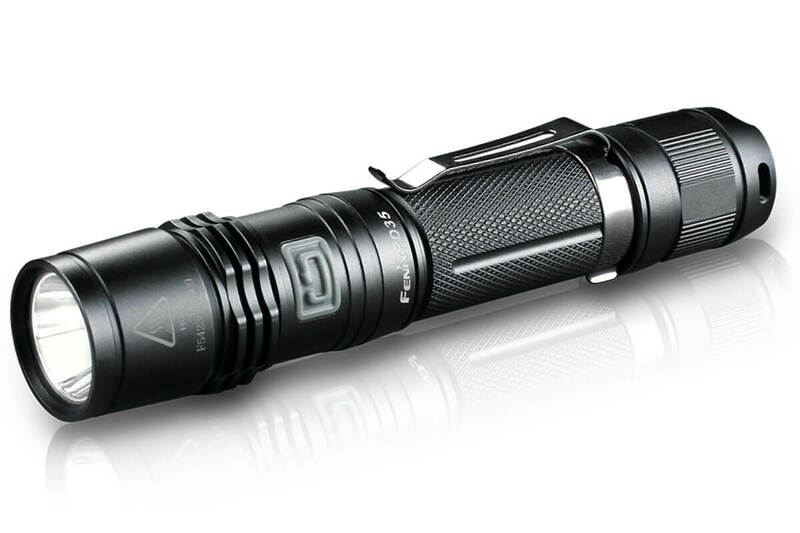 As mentioned at the beginning of this article, this flashlight is multi-purpose (although it is tactical in the first place) but you can use it during all your outdoor activities especially because of its 3 modes tactics that will be discussed later in this test. Klarus is typed so high-end characteristics are expected, be it at the level of the framework of the torch but also for everything concerning the internal management of the temperature, the regulation of the intensity, power etc. 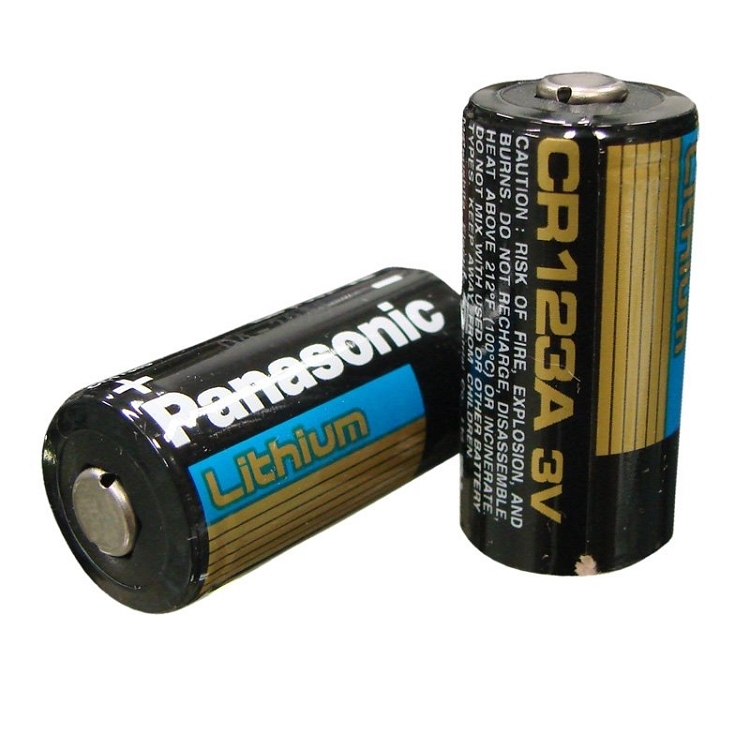 A weight of 169g with the battery 18650 supplied in the box. Autonomy adjustable up to 170h in 10 lumens mode. One gets into the heart of the matter with the full test of the klarus xt11gt which has us, as you will discover, really impressed on many aspects! We can test hundreds of lamps, we are always impressed by the quality of aluminum manufacture of the new generation models and the Klarus xt11gt is no exception. We immediately see the quality of workmanship carefully down to the last detail just as we had liked the details during our test of the Thrunite TN12 . When we talk about details it is for example the pitch of brushed aluminum screw, the notch of the USB port that is perfect as well as the tactical ring perfectly geometric. Big blow of heart for the quality of manufacture of this model xt11gt!One feels the robustness and the worry of the details of Klarus. In concrete terms, the manufacturer assures us that the torch can hold up to 170 hours in 10 lumens mode.We have not personally tested this mode there for timing reasons so no data at this level there. 47 minutes in turbo mode .The lamp began to light up slightly after 30 minutes, but the overheating system does its job well overall! Mode 400 lumens: 3 hours and 18 minutes.A little less than what is announced on the official website Klarus but it remains very good for this power. Mode 100 lumens:11h and 46 minutes .Rather very impressed by the 100 lumens mode that really holds for a long time for a lamp of this power! We have not tested the autonomy for the Strobe and SOS modes because we think it is not useful.If you are interested, you have the manufacturer’s data here. An average range in turbo mode and slightly higher for modes 400 and 100 lumens when compared to other tactical lamps of the same power. As mentioned in our guide to the best torches , we must beware of the indicator “Lumens” provided by the manufacturer.In the case of the Klarus XT11GT we should find at the output of the lens nearly 2000 lumens but it is known from base that the value will be much lower than either because of the battery or the energy loss internally. In concrete terms, it illuminates and illuminates FORT .We clearly see the difference between this model and a model of 1000 lumens like the Soonfire NS37 or VS37 for example.It is recalled that this lamp works with LED lighting. In test outdoors it illuminates in the neighborhood of the 220 meters with a diameter of lighting quite impressive in Turbo mode (in the vicinity of the 11 meters). The lamp has a regulation system that keeps the light intensity stable until the battery falls below 30% (the red light will start to light up). 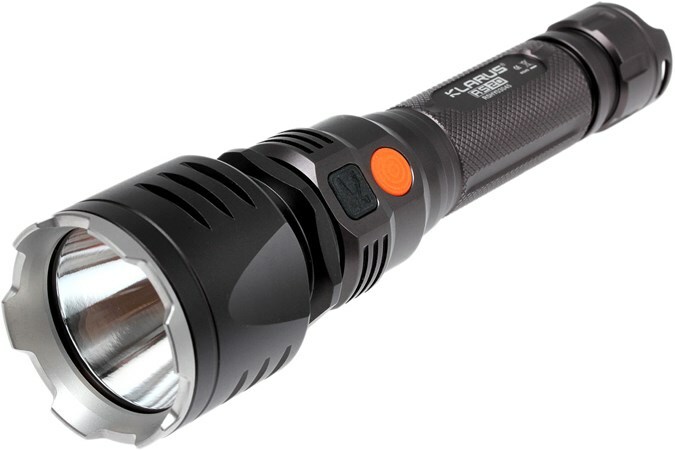 Very good power.A good lamp for hunting and other night activities requiring powerful remote lighting! What makes this lamp quite special is its 3 tactical modes that are quite unique on the market of military torch lamps.When one reads how to use the modes on the card of the constructor one has the impression that it is rather laborious but in reality it is simpler than it appears! We are not going to give you a step-by-step guide on how to change the modes with the number of presses on the tactical button, you can find this well explained information (in FR) directly here . Classic tactical mode : the basic mode that will give you access to the strobe, Sos and 3 brightness modes (Turbo/weak medium). “Outside” mode: a mode identical to the traditional tactical mode with an additional lighting mode:Turbo/strong/low/medium.An ideal mode to use the color filters especially for night hunting! Tactical Mode Assault : In this mode you will only have the Turbo and Strobe mode, ideal for operations and police operations. Actually, the differences in modes are in the pressures on the tactical side and rear switch when the lamp is off. For tactical assault mode, for example, it will light up directly in Turbo mode while for the external mode it will light up in “weak” mode. The lamp has a memory mode that allows you to memorize the last mode in which you were before switching off the lamp (except Strobe mode) so that you do not have to repeat the manipulations the next time you use it. The modes are changed via the side and back button. The lamp weighs less than 200 grams and is 14.2 cm so it holds well in hand .It is only regrettable that the belt fastener is made of metal and a little too rigid for the blow. You can put the lamp in candle mode, it will hold the vertical.The tactical switches are of very good quality. The lamp will fit into a pocket of jeans or pants (this is not the mini-format) but it happens anyway. Light weight, top quality and good grip, a lamp that could be classified among our selection of EDC lamps! We made a very good tactical flashlight to us.It will meet all the expectations you have when buying a tactical torch, that is to say it can be used both for outdoor activities (hunting, trekking, camping …) and for situations of everyday life or in the military environment. The accessory kit is really complete and it’s a big plus in favor of this model.In addition you can recharge the lamp in USB ultra simply and quickly. 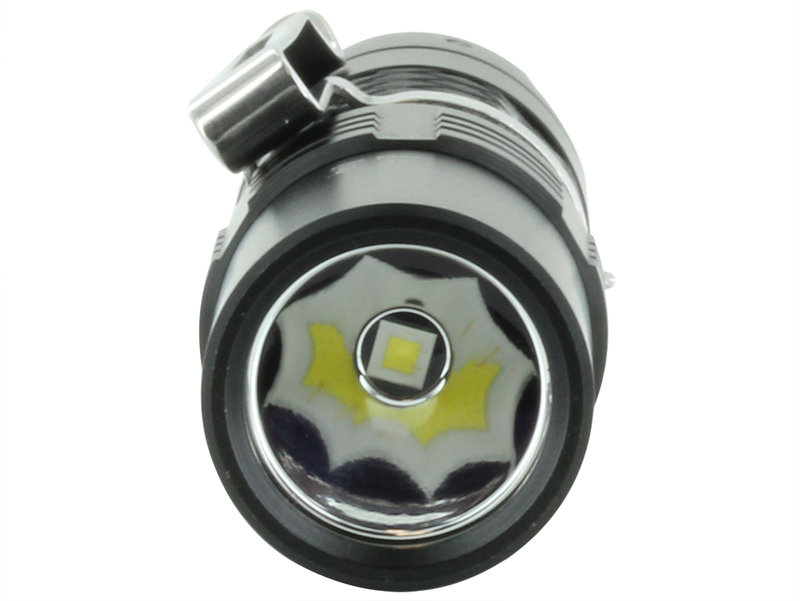 The autonomy remains very good for a torch of this power even at high power. In terms of power, this is above many models with equivalent power (better intensity management). In summary, we recommend this torch without any hesitation . 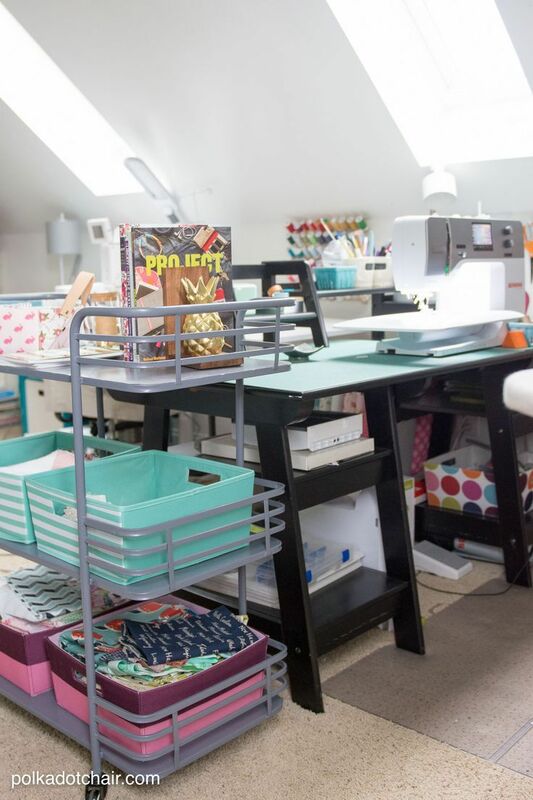 It is sold a little more expensive than other models of the same range in other manufacturers but it is really worth its price just for the accessories provided with! To buy the klarus xt11gt at the best price , we recommend you buy it at Amazon.The lamp is sold cheaper than on the official French website of the manufacturer!